Laura Pierallini has been recognised as a Thought Leader of Aviation by Who’s Who Legal Expert Guide. Who’s Who Legal has been researching legal markets since 1996 and now covers 35 practice areas and over 100 countries. The bar to be considered a ‘Thought Leader’ is extremely high: only those listed practitioners who obtained the highest number of nominations from peers, private practice lawyers, corporate counsel and other market sources in the guide’s most recent research cycle were considered. Thought Leaders 2018 comprise of just the top 2 per cent of all the eminent practitioners listed across legal guides. Ms. Pierallini will be attending Who’s Who Legal Awards ceremony which is being held in May at Plaisterer’s Hall in London. 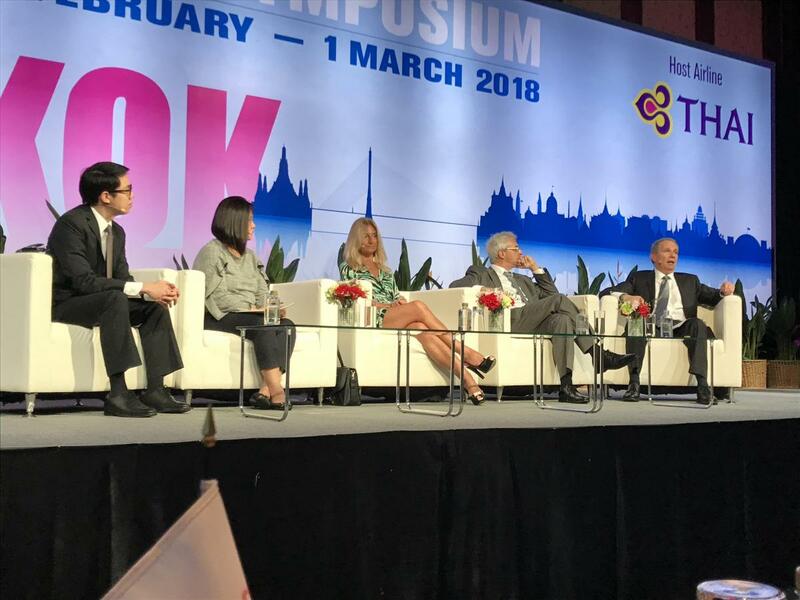 Laura Pierallini, invited as panelist at the IATA Legal Symposium 2018 in Bangkok, on such important occasion, announced the winner of the Constance O’Keefe Aviation Law Writing Award 2018, after being warmly welcomed by IATA General Counsel, Jeffrey N. Shane. As promoter and administrator of the competition, she awarded Pietro Benintendi, a student at Leiden University’s International Institute of Air & Space Law.